According to an article at the News tribune of Tacoma, Robert Gimlin will be speaking at the Washington State History Museum in June. This is the same exhibit we mentioned earlier titled "Giants in the Mountains: The Search for Sasquatch." The exhibit examines how scientists attempt to explain and investigate the Sasquatch phenomenon. It also looks at hoaxes and popular cultural interpretations of this unidentified being. A look at tribal legends and masks provide yet another insight into this elusive creature. Robert Gimlin is the other half of the duo that filmed the most famous footage of Bigfoot ever. Gimlin, has always denied being involved in any part of a possible hoax and claims that he and his partner had encountered a real bigfoot. However, Gimlin avoided publicly discussing the subject from at least the early 1970s until about the year 2000 when he began giving interviews and making appearances at Bigfoot conferences. 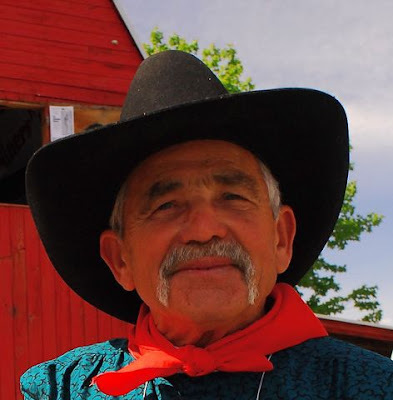 The article is a great read and also mentions Bob Gimlin's previous visits to the museum. Then there was the day Meldrum and Bob Gimlin spoke at the museum. Gimlin is famous for being part of the group that filmed what they claim was a Bigfoot in Northern California in 1967. “We held two programs that day, but we still must have turned away 200 people,” Rohrer said. Gimlin is scheduled to speak at the Tacoma museum in June. “We understand this is a topic that is very strongly under debate. We’re trying to portray a very balanced view,” Perkins said. “In a sense, whether the creature actually exists isn’t as important as the impact it has had on the people who live out here. Museum hours: 10 a.m.-4 p.m. Wednesdays through Fridays, 10 a.m.-5 p.m. Saturdays and Sundays. On the third Thursday of each month, the museum is open until 8 p.m. with free admission from 2-8 p.m. Admission: Adult (18 and over), $8; Senior (60 and older) $7; student (6-17 years old) and military, $6; family (two adults and up to four children), $25; child (5 and under) and Historical Society members, free. The gorilla like primates are a very she, reclusive animal. The mountain gorillas were discovered within the last 100 years, why not sasquatch as well? Cryptomundo Responds to Being "Down"
Is The Great North Figure a Bigfoot? No. Is the Word "Bigfoot" Losing its Definition? German Blog: Sylvanic Bigfoot Fake!